Cutting-edge tech makes up for a lack of progress on the rest of the build. I admit I’m slightly nervous at how slowly I’m modifying Cada Día, my Yard Built custom project. It’s always been intended as a truly usable bike (hence the name, which is Spanish for ‘every day’), and that means that the luggage on it is pivotal. I know what I’m going to do, but it’s using kit that’s still in development which will be carried by a rack that will need to be modified to fit with the great-looking tail tidy that Evotech is developing. But by the time you read this, I promise progress will have picked up. Maybe. Hopefully. 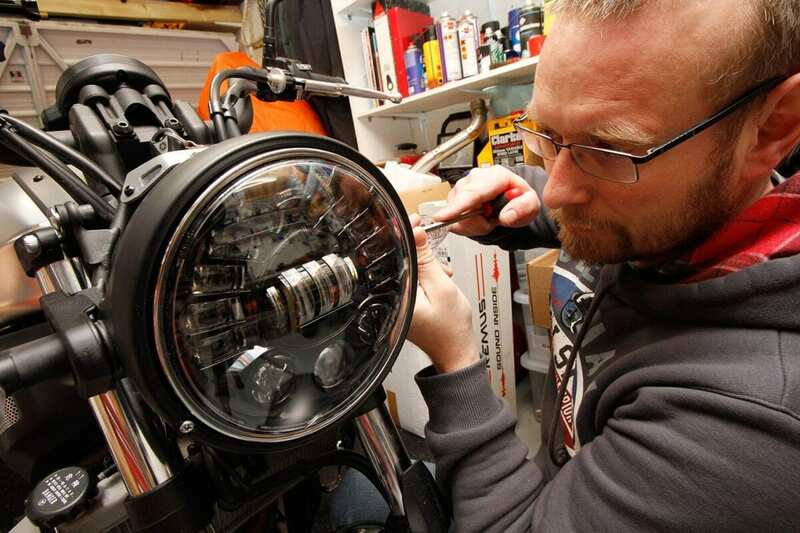 I need to get this machine finished before I ride to the custom bike festival – Wheels & Waves – in Biarritz. The first week of June is looking worryingly close, considering I haven’t even shown the bike to Chris Tunbridge yet, the genius who’s going to be working on the paint scheme with me. You’ll just have to trust me (and I’ll just have to keep my fingers crossed)… But one thing has changed, and it’s very impressive; a self-contained cornering headlight that transforms the XSR’s safety at night. 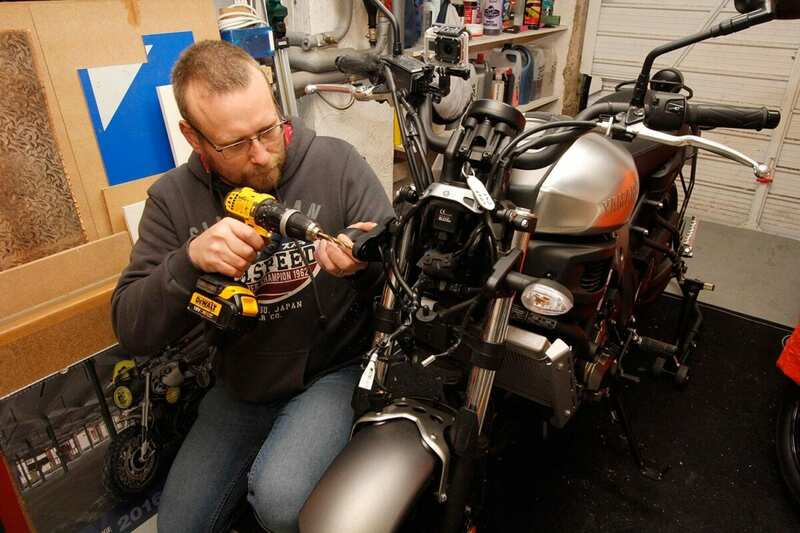 The first destructive modification of the XSR – drilling out the headlamp mounting brackets. 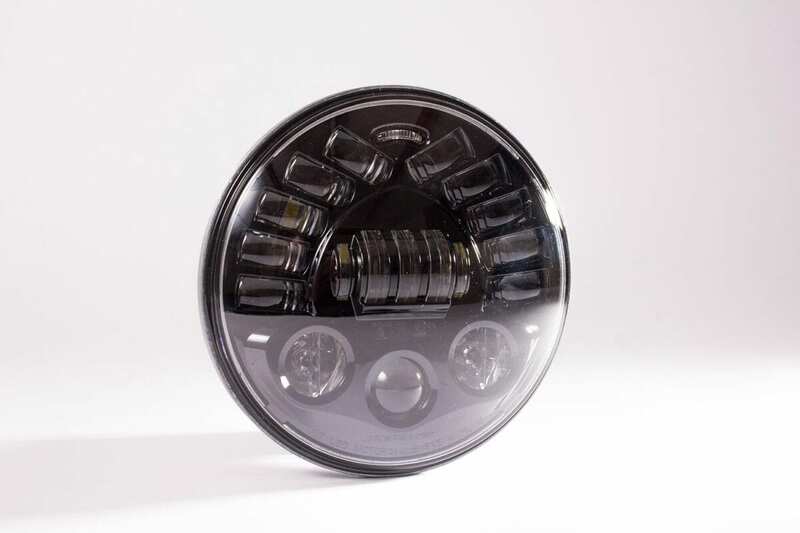 Let’s get this out of the way first – the seven-inch JW Speaker adaptive headlight costs £658.80 from www.mobilecentre.co.uk. 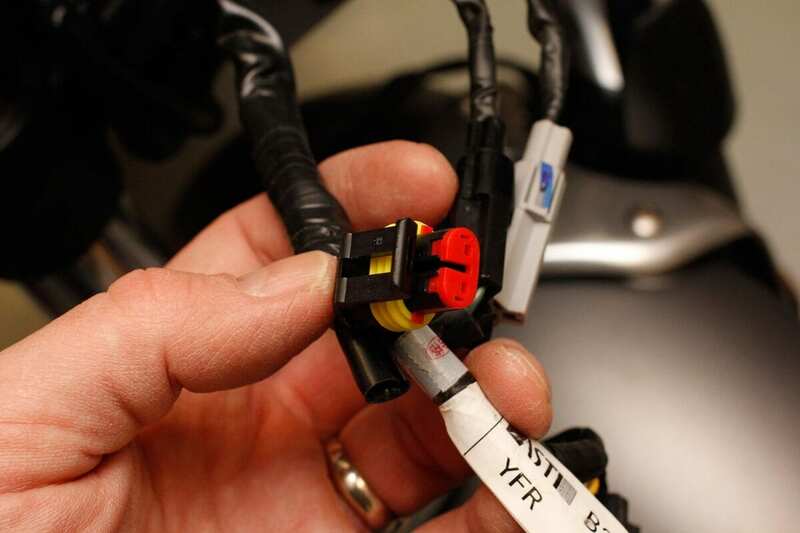 It might be replacing the simple halogen lamp built into the weirdly elongated housing of the XSR, but it’s a world apart in technology and performance. 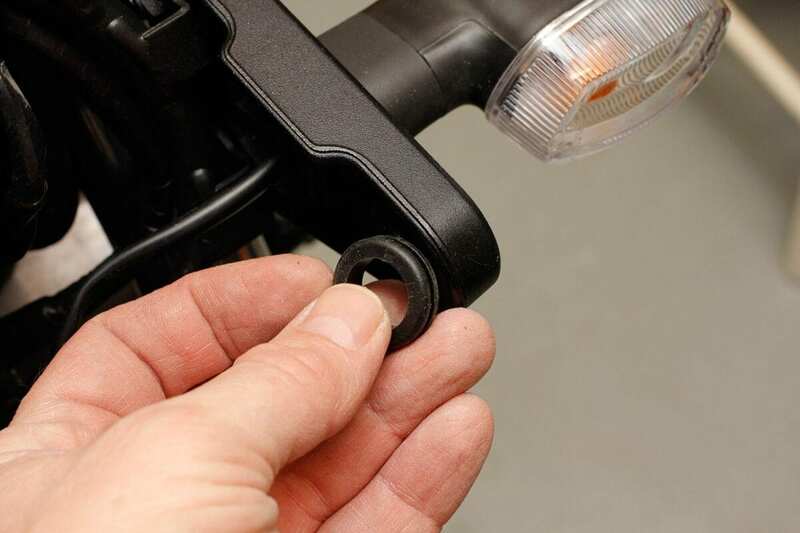 This solid-state lamp unit uses a bank of high-powered LEDs to give a clear, sharp low-beam, a massive high-beam, and five lights on either side that progressively illuminate as you lean the bike. Just like the KTM 1290 Super Adventure, the cornering lights point slightly upwards, but as you lean, that attitude becomes more level, and when illuminated they’re perfectly positioned to fill the dangerous void left by your bike’s standard light. It works. 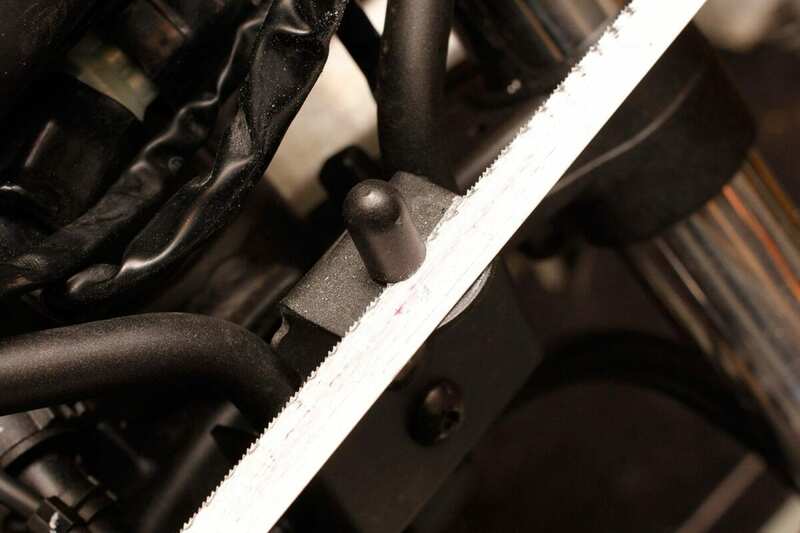 Like many LED lamps, the edge of the low-beam area is quite sharp, so it’s important to accurately set the position of the unit to get the best view of the road. However, because the suspension is a little soft on the XSR, the dive is particularly noticeable under braking. The road I filmed the comparison video on is very bumpy, which did show up the shortcomings of the XSR’s fork and shock – it’s quite a bouncy ride, the little bike taking longer than I’d like to recover from imperfections in the road, especially just before dropping into a corner. It was also a damned cold road, so I’m pretty sure the heated grips and hand guards suggested by some will be finding their way onto the bike. I’m thoroughly impressed with the light, as you’d expect of something costing this much. But do keep in mind that it’s also a similar price to many after-market exhaust systems (or some manufacturer’s end-cans). This is far more than a very cool-looking modification – it’s a leap forward in terms of safety for any bike with a standard headlight. And unlike many cheap aftermarket lights that you might find on eBay, it’ DOT and ECE approved, so you’ll have no problems with an MoT, or the Police in other countries. 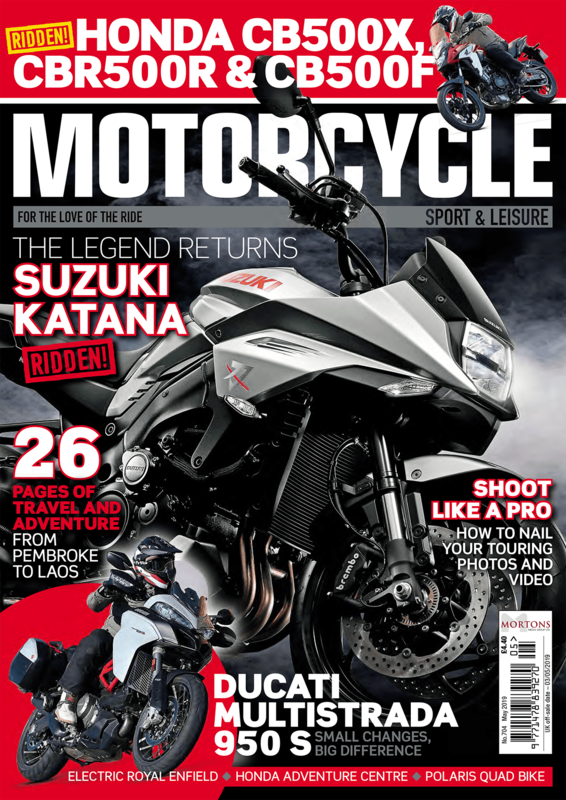 There’s also a model available for bikes with 5.75” headlight units, which costs £598.80. The main lamp plugs directly into the original bulb connector, but I had to add a new plug for the side-light. Part of Yamaha’s philosophy is to make its motorcycles easier to customise – it’s why the XSR’s chassis is slightly different to the MT-07, now having a removable sub-frame. It was good to see then that the company had kept its word, and not filled the housing with wiring. Stripping out the original lamp, I found just the standard H5 headlamp connection, a twin connector for the sidelight, and the pair of indicator connectors. 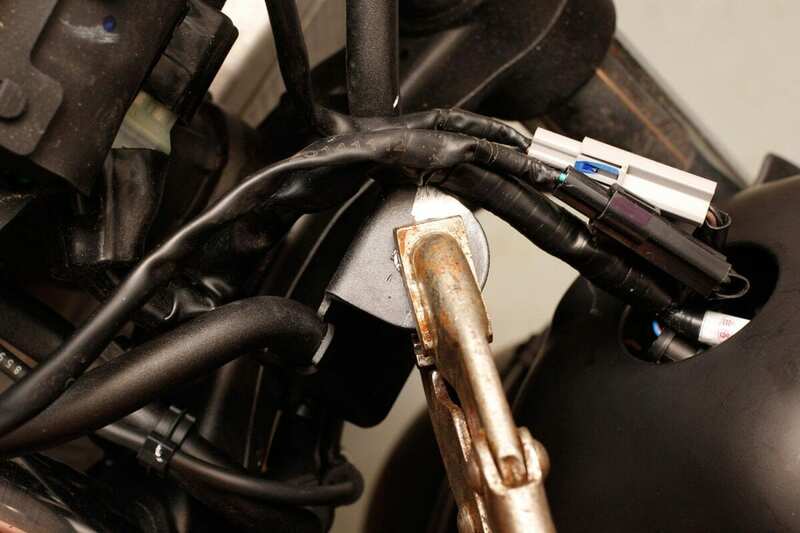 The XSR’s lamp isn’t a standard 7” unit, so the cornering light wouldn’t fit into the housing. Instead, I’m using the Model 8702 black side-mount bucket housing, again from Mobile Centre, and costing £77.99 for the all-metal, matt black assembly. It’s held by a pair of M8 bolts (not supplied), which are larger than that holding the standard light on, so you’ll need to drill the holes out. The original bottom bracket had to have the large locating pin cut off, then be bent out of the way until I find a more elegant solution. 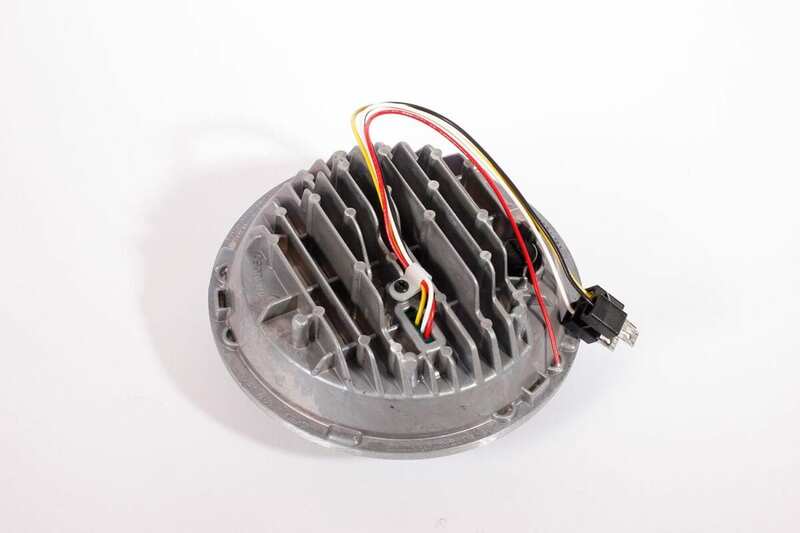 For more information on the JW Speaker cornering headlight, housing and other auto electrical products, visit www.mobilecentre.co.uk or call 01386 212121. 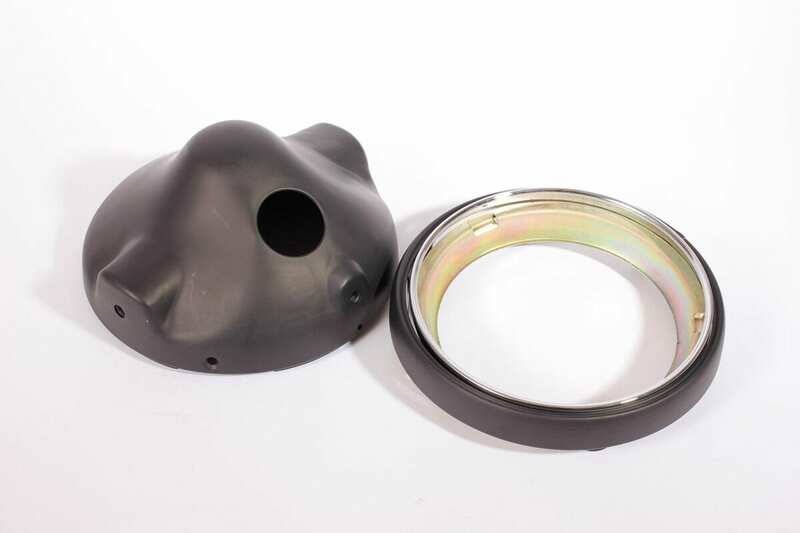 Simple rubber grommets were an ideal replacement for the rubber spacers on the original housing. General impressions: There’s huge potential in this bike for customisers, but it’s still a fantastic machine out of the crate. All the electronic magic is contained inside the standard-sized headlamp unit.